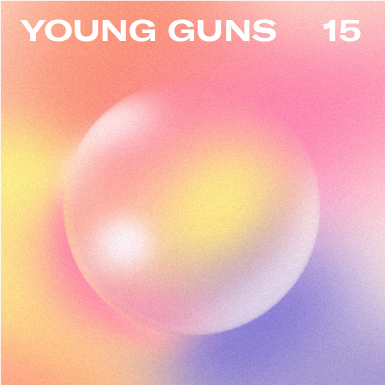 2006: The move to make Young Guns an international competition was a a smart one; Young Guns 5 saw nearly a quarter of its submissions come from outside of the United States. Beyond the Moleskine-produced annual and the November 9, 2006 ceremony and exhibition, this year introduced a speaker series that explored the work, history, hurdles, goals and aspirations of Young Guns winners. Silas Munro is a hybrid graphic design practitioner and educator. His mission is to make and teach design that is beautiful and smart with empathy for humanity. He is Faculty Chair for the MFA Program in Graphic Design at Vermont College of Fine Arts. Based in Miami, Munro makes award-winning graphic design and branding for varied audiences across media. Past work has been recognized by the ADC Young Guns, AIGA and a SAPPI Ideas that Matter grant. Silas' writing about design has been published by CalArts Pub, GOOD, SpeakUp and the Walker Design Blog. He has held prestigious positions as Design Director at Housing Works in New York, Designer-In-Residence at NC State and Design Fellowship at the Walker Art Center in Minneapolis. He holds a MFA in Graphic Design from CalArts and a BFA in Graphic Design from RISD.